New data suggest that there can be transgenerational transmission of the effects of drug exposure and stress from a paternal rat to its offspring. The father mates with a female who was not exposed to drugs or stress and never has any contact with the offspring. Consensus is now building that this transmission occurs via epigenetic alterations in sperm. Epigenetic alterations are those that are mediated by chemical changes in the structure of DNA and of the histones around which DNA is wrapped. These changes do not alter the inherited gene sequences but only alter how easy it is for genes encoded in the DNA to be activated (transcribed) or suppressed (inhibited). There are three common types of epigenetic modifications. One involves the attachment of a methyl or acetyl group to the N-terminals of histones. Methylation typically inhibits transcription while acetylation activates transcription. Histones can also be altered by the addition of other compounds. The second major type of epigenetic change is when the DNA itself is methylated. This usually results in inhibition of the transcription of genes in that area. The third epigenetic mechanism is when microRNA (miRNA) binds to active RNA and changes the degree to which proteins are synthesized. At a recent scientific meeting, researchers described the various ways epigenetic changes can be passed on to future generations. Researcher Chris Pierce reported that chronic cocaine administration increased brain-derived neurotrophic factor (BDNF) in the medial prefrontal cortex of rats. (BDNF is important for learning and memory.) The cocaine administration led to acetylation of the promoter for BDNF. This exposure to cocaine in male rats who then fathered offspring led to two changes in the offspring, presumably conveyed by epigenetic changes to the fathers’ sperm. The first change was a decrease in cocaine reinforcement. The offspring took longer to acquire a cocaine self-administration habit. 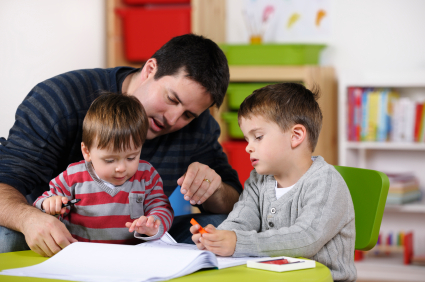 The second change was long-lasting learning deficits in the male offspring, specifically recognition of novel objects. The deficit was associated with a reduction in long-term potentiation in the offspring. Long-term potentiation is the strengthening of synapses that occurs through repeated patterns of activity. Surprisingly, the following generation also showed deficits in learning and memory, but did not show a loss of long-term potentiation. Editor’s Note: These data indicate that alterations in sensitivity to cocaine (in this case slower acquisition of cocaine self-administration) can be transferred to a later generation, as can learning deficits in males. These data suggest that fathers’ experience of drugs can influence cocaine responsiveness and learning via epigenetic mechanisms likely mediated via epigenetic changes to the father’s sperm. This research suggests the possibility that, in a human clinical situation, there would be three ways that a father’s drug abuse could affect his child’s DNA. First, there is the traditional genetic inheritance, where, for example, an increased risk for drug abuse is passed on to the child via the father’s genetic code. Next, drug abuse brings about epigenetic changes to the father’s sperm. (His genetic code remains the same, but acetyl groups attach to the BDNF promoter section of his DNA, changing how those proteins get produced.) Lastly, if the father’s drug abuse added stress to the family environment, this stress could have epigenetic effects on the child’s DNA. Researcher Alison Rodgers described how epigenetic changes involving miRNA in paternal rats influence endocrine responsivity to stress in their offspring. Rodgers put rats under stress and observed a decrease in hormonal corticosterone response to stress. 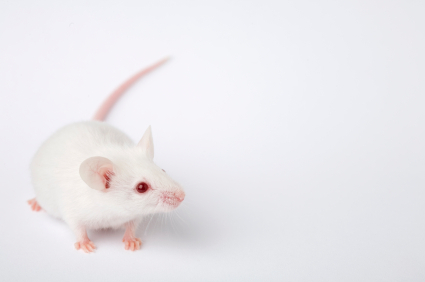 When a father rat was stressed, nine different miRNAs were altered in its sperm. 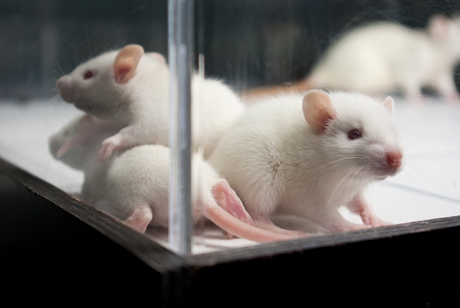 To prove that this stress response could be passed on transgenerationally via miRNAs, the researchers took sperm from an unstressed father, loaded it with one or all nine miRNAs from the stressed animal, and artificially inseminated female rats. Rodgers found that the sperm containing all nine miRNAs, but not the sperm carrying one randomly selected miRNA, resulted in offspring with a blunted corticosterone response to stress. In a huge study of Swedish siblings, a sibling was 24.7 times more likely to have bipolar disorder if the father was older (over age 45) at the time of the birth than younger (younger than 24). Older paternal age was also associated with other risks of mental disorders, such as autism, attention deficit hyperactivity disorder (ADHD), suicide attempts, substance abuse and psychosis, but the strongest finding was of a relationship with bipolar disorder. Mutations that occur during the production of sperm may be responsible for the increased risk of illness in the offspring of older fathers. The population-based cohort study published by Brian M. D’Onofrio et al. in the journal JAMA Psychiatry included all individuals born in Sweden between 1973 and 2001.